Oneness Becomes You™ Music is a practical spiritual tool to support you to create a fulfilling spiritual and wealthy life. Each piece of music can easily transform your life with its high vibrational frequency to begin or deepen a daily “listening” practice or meditation. Deborah’s unique connection to spirit has guided her to help shift the idea and perspective of what meditation is “supposed” to look like. Here the angelic realm has offered her, and now you, a “no brainer way”, as one of her clients has said, into a meditative practice. You do not have to work to clear your mind, sit in a lotus position, or have it “look” any particular way. Just be with all of what happens for you and through you. What Deborah has been guided to teach is, that this “listening practice” is about connection and relationship to spirit in a way that supports your entire life. Thus you will have moments of ‘no-thingness’, where you quiet the monkey mind so that you feel and see you are more than your body. You will experience practical information for your personal life or your business life. You can gain clarity as you take a “problem” or what we like to refer as an “opportunity” to the music. This allows you to not only release fear and anxiety, but to “see” this opportunity from a higher perspective. Since its launch on 11.11.11, the music has successfully supported many people to shift their life by sitting with the music and experiencing a daily, accumulative effect of a higher vibration than they had been living in before. This music is the frequency of Love. The music allows you to release what is not you by releasing negative and stuck energy, habits and beliefs. The music allows you to surrender to the real you that knows you can create and live a life you love and truly know that no matter what may come up for you, you can move through it and gain profound insights that truly set your soul free! You are here to be happy and healthy and create through the contrast of life’s experiences what you truly desire. 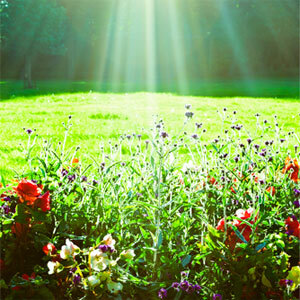 The Oneness Becomes You™ music can help you do that much easier than you can often do yourself. We invite you to explore the music. 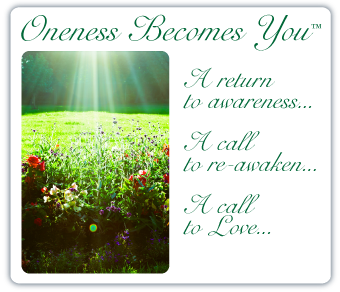 Learn more on Deborah’s sister site, Oneness Becomes You™.